Posted on July 7, 2013 by Sarah S.
Recently, and thanks to the suggestion of a friend, I visited the Good Style Shop, a vintage clothing store, in Madison. I was blown away by the atmosphere (electric, not too serious about itself, and very well organized) and by the variety and quality of the selection. This isn’t a shop that you have to spend hours digging through piles of 90s flannel before you find a proper 70s a-line dress; it has a wonderfully merchandised selection of dresses right in the corner. 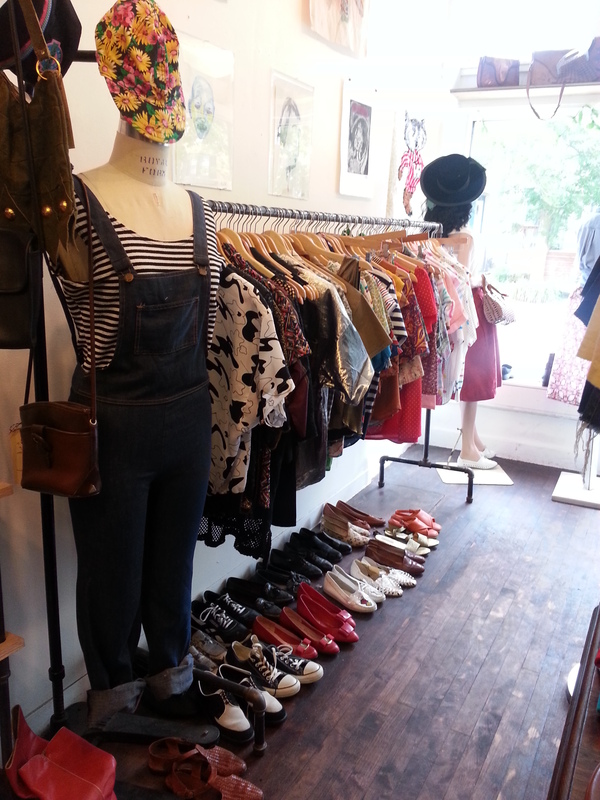 The shop also boasts a robust selection of vintage menswear, which is a refreshing sight to see. I was delighted to find a gorgeous 60s high waisted bikini, bullet bra and all, for $35. I’m going to have to channel my inner Pucci when I wear it on the beach this weekend. Before I left the shop, I had a brief chat with the founder and owner. When I asked, “If you could give one piece of advice to an aspiring entrepreneur, what would it be?”, he said simply to never forget about work/life balance. At 23, when we started the shop (!! ), he initially had trouble separating work from the rest of his life, understandably. He emphasized that the ability to balance is a valuable skill for any entrepreneur. Certainly, valuable advice for any of us. Good Style Shop is located at 817 East Johnson St in Madison, WI. This entry was posted in Style, Travel and tagged 60s bathing suit, advice, entrepreneur, fashion, good style shop, madison, vintage, vintage shopping. Bookmark the permalink.